Bringing under one roof the whole gamut of the creative genius of Bengal – ranging from handloom-handicrafts to literature – a new “Biswa Bangla” store was inaugurated at the national capital today by Mamata Banerjee, our Hon’ble Chief Minister. The store was opened by the the Hon’ble Chief Minister in the presence of senior officials of the Government of West Bengal and the Biswa Bangla consortium. 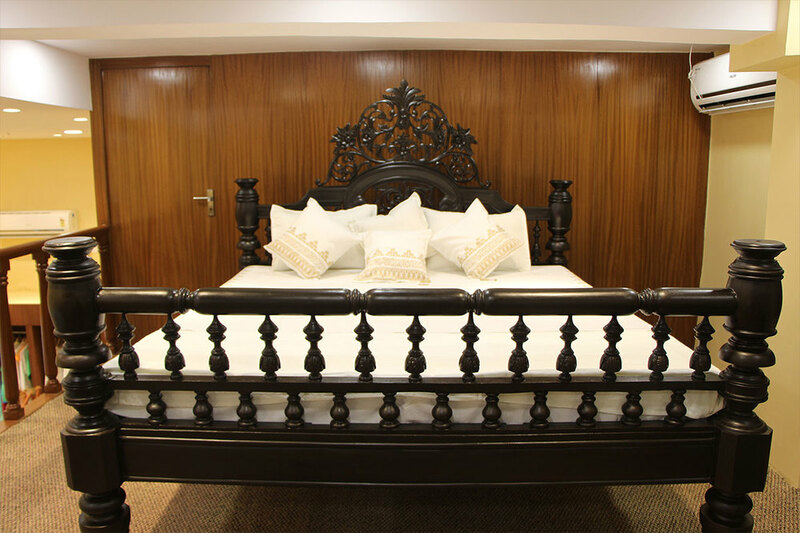 The state-of-the-art outlet has come up following renovation and conversion of the Manjusha Emporium at the ground floor of the Office of the Resident Commissioner, Government of West Bengal, at Connaught Place in the heart of the city. Traditional sarees, beautiful handloom products and hand-crafted marvels of Bengal, and Darjeeling tea as well as Bangla books, CDs of Bengali music and classic films will be available at the Biswa Bangla store. It is expected to be the one-stop shop for everything Bengali – an initiative that is aimed at catering to domestic consumers as also building brand Bengal in the international market. 1st Biswabangla store at Kolkata Airport was inaugurated by Hon'ble Chief Minister Smt Mamata Banerjee on Feb'26'2014 through Remote Control at a public function at Raidighi, South 24 Parganas on 22nd Feb'2014. It was thrown open to the Public on 26th Feb'2014. 2nd Biswabangla store at Dakshinapan was inaugurated by Hon'ble Chief Minister Smt Mamata Banerjee on Aug'14th'2014 through Remote Control from Kanyashree function held at Netaji Indoor Stadium. Present at the Dakshinapan' Hon'ble MIC of MSME & T Dept. Shri Swapan Debnath, Principal Secretary Shri Rajiva Sinha, IAS, MD WBSIDCL Mr. Parwez Ahamed Siddique, IAS. and Other Dignatories. 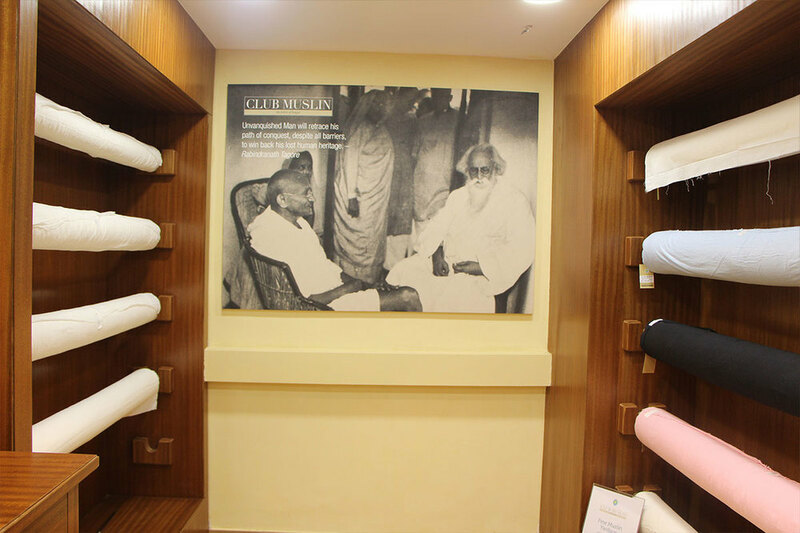 The thirtieth of June, saw the launch and inauguration of the ‘Club Muslin’ store, by the honourable Chief Minister of West Bengal at Dakhshinapan in Kolkata. Club Muslin is a glorious initiative taken up by the Bengal government’s Biswa Bangla Project, to revive the dormant muslin culture in the state. In recent times, the awareness of muslin is not great, even though it is considered to be one of the most precious and highly valued items available in the textile market. The primal aim of the Club is to bring muslin up in the contemporary eye and to sustain and promote the muslin weavers nationwide. It also aims at informing the population out there, about the various facets of this beautiful material. The launch saw the presence of a flurry of dignitaries and celebrities, including Agnimitra Paul, Hiraan Chatterjee and Abhishek Datta. Agnimitra Paul lend her creative hand at making this club a success, by designing an entire collection made solely of muslin. The initial project was started by the Government of West Bengal from May 2014 onwards, and has seen the participation of about 790 people till date. The Government funded an amount of 62 crores to initiate the entire development process. As muslin was a heritage project of undivided Bengal, Club Muslin is sure that their new effort will bring forth an upheaval in the muslin market and will again take the fabric to the past glory of its golden days. 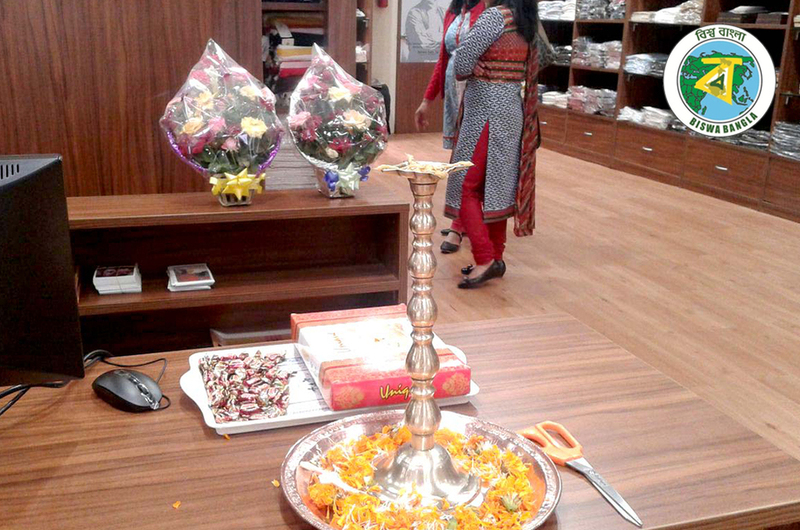 The fifth Biswa Bangla showroom at the Bagdogra Airport was inaugurated by the Honorable Chief Minister on 19th June, 2015.